Can you even believe summer is almost here? 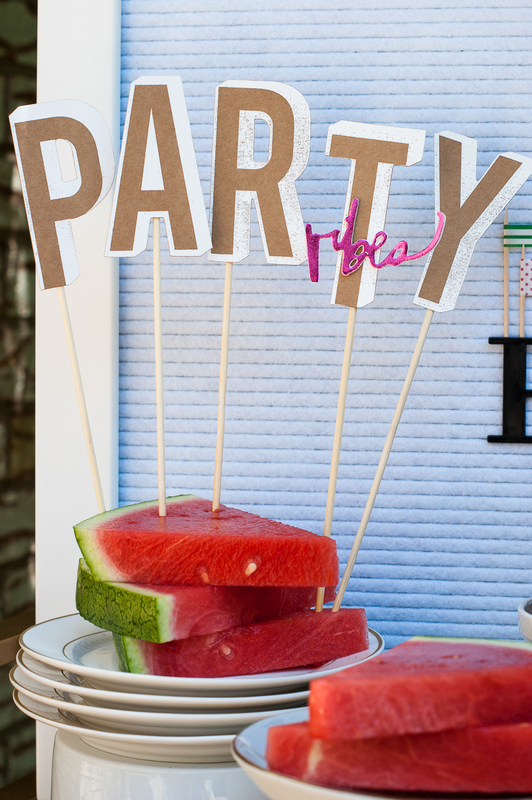 That means summertime parties are almost here, too! 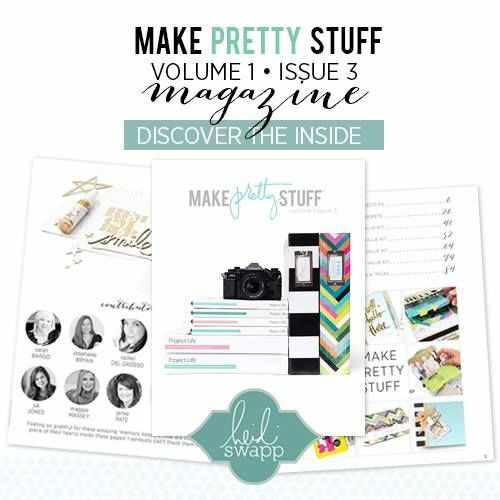 And what better way to celebrate than with darling little diy party accessories? 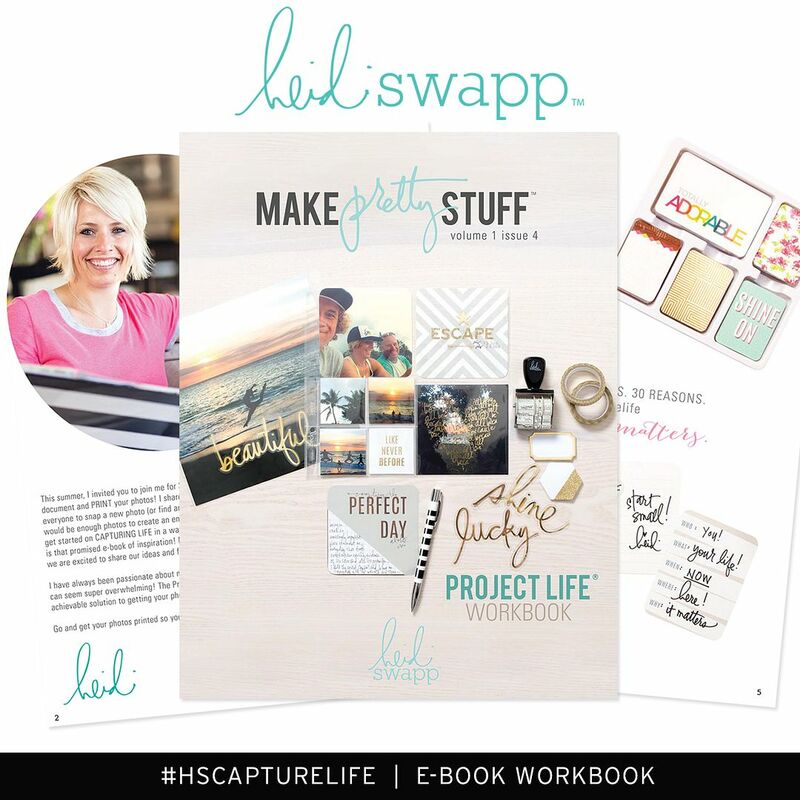 I used all things Heidi Swapp to create this little summer party set-up...and I think it all turned out so cute! I started with some patterned paper from Heidi's Hawthorne collection and a little mini beach umbrella cut-file I purchased in the Silhouette store. I cut the umbrellas out with my Silhouette and assembled them with a tape runner. I love how beachy and rustic-looking these are! Then I attached them to some wood skewers with a little hot glue. 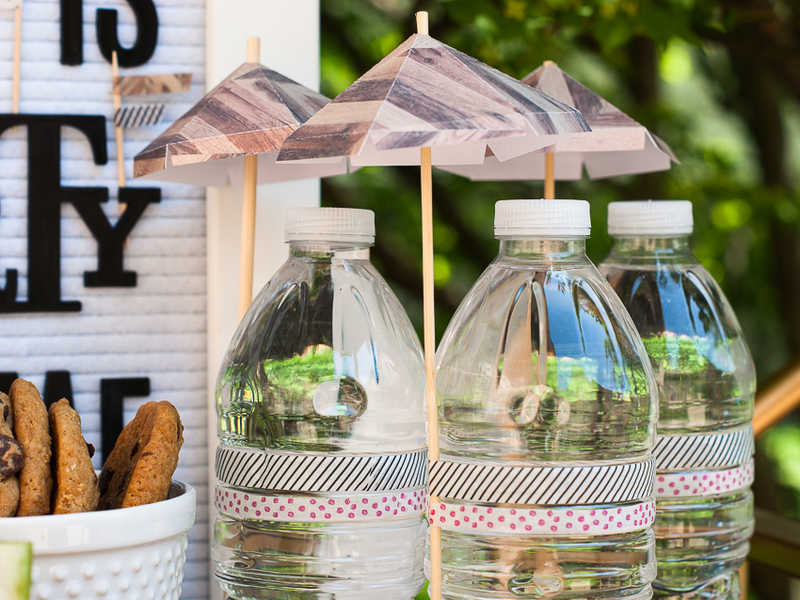 Next, I took the labels off of these water bottles and attached the mini beach umbrellas with some washi tape from Heidi's Fresh Start collection. 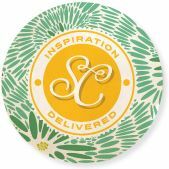 Next, I used the Jumbo Kraft Letters & puffy "vibes" sticker (also from Heidi's Hawthorne collection) and my Minc machine to create these awesome picks! 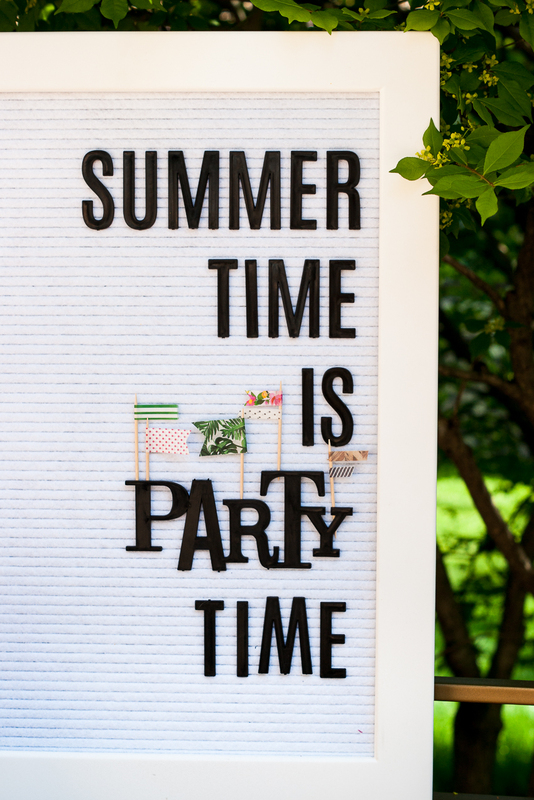 Heidi's Letterboard is a MUST-HAVE for any party! 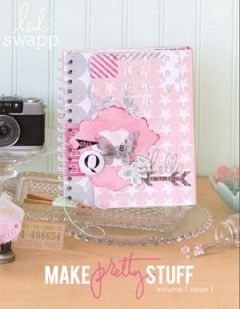 And the little washi pennants I created using Fresh Start & Hawthorne tapes & toothpicks are a great way to add color and texture. 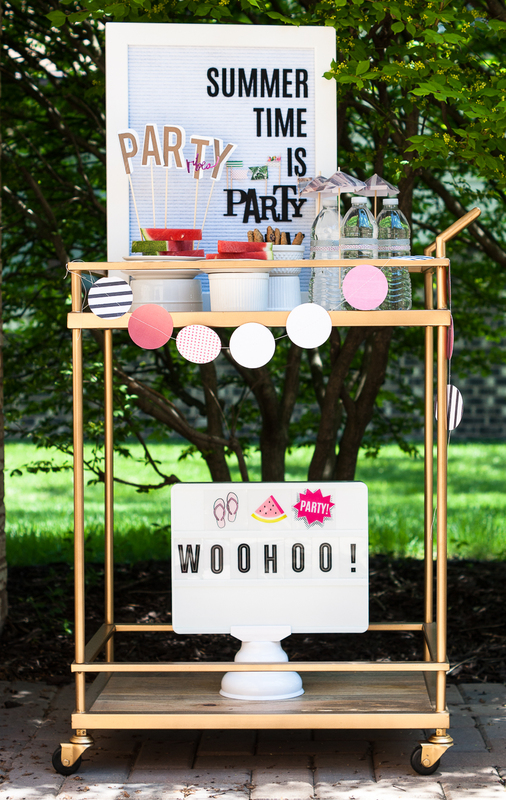 Circles punched from more Hawthorne patterned paper and sewn together create a darling little banner for my bar cart, and Heidi's Lightbox is the perfect finishing touch for the bottom shelf! The best thing about this party decor? 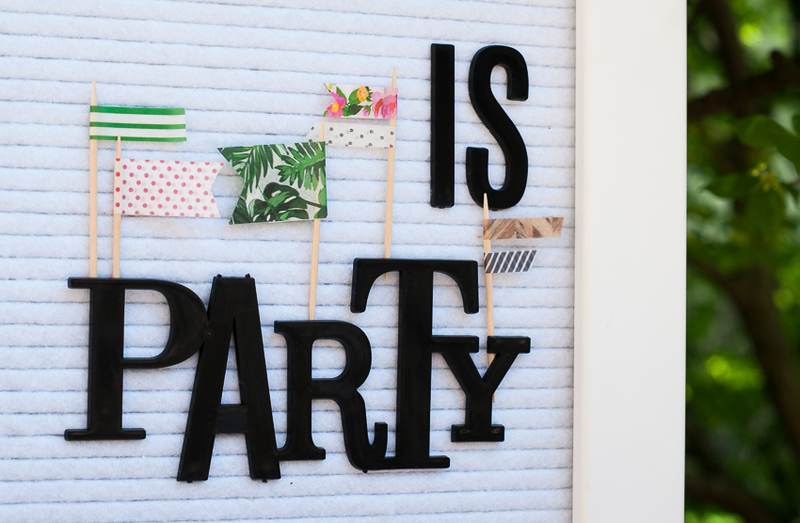 With all of the paper, washi, Letterboard & Lightbox options available, you can create a totally custom party for any theme! 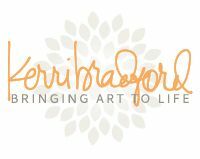 Thanks so much for taking a look!